OLLIE is in many ways a typical dog. She likes going for walks and chasing birds, and is especially fond of having her tummy rubbed. But in one respect, the Staffordshire Terrier differs radically from her canine peers: she has a burgeoning academic career, and sits on the editorial boards of seven medical journals. As you may have guessed, the journals on whose boards Ollie sits are of the predatory variety. These are shadowy, online publications that mimic legitimate journals, but are prepared to publish anything in exchange for a fee that can run into thousands of dollars. Predatory journals prey on desperate young researchers under huge pressure to get their research published to further their careers. Professor Daube says that although he started Ollie’s academic career as a bit of a joke, there’s a serious message in there as well. The problem of predatory journals has exploded over the past few years. One estimate has put the number of these journals at around 10 000 – mostly based in low income countries such as China or India – and the number of manuscripts they have published at over half a million. But they are part of a broader problem of research integrity that has hit legitimate and illegitimate journals alike. Just last month, over 100 articles were pulled from one journal (Tumor Biology) because their peer review had been faked. Even prestigious journals such as the New England Journal of Medicine have not been spared, with reports that data from a major trial published in that journal had been fraudulently compromised. Research integrity is the subject of a recent Lancet editorial as well as a major conference to be held next week in Amsterdam – the fifth World Conference on Research Integrity. Speaking at that meeting will be Dr Virginia Barbour of the Queensland University of Technology, who is executive director of the Australasian Open Access Strategy Group and is also finishing up her term as chair of the Committee on Publication Ethics. “Maintaining research integrity is a complex, intertwining problem, and often when you try and solve one bit of it, you make another bit worse. A perfect example is when journals try to relieve the huge burden of peer review placed on them by asking authors to suggest reviewers. But then that opens the way for authors to subvert the review process,” Dr Barbour told MJA InSight. She said that part of the solution was to get academics to better understand the issues involved in research integrity, particularly with regard to predatory journals. But Dr Barbour remains optimistic that research integrity can be maintained in the internet age. 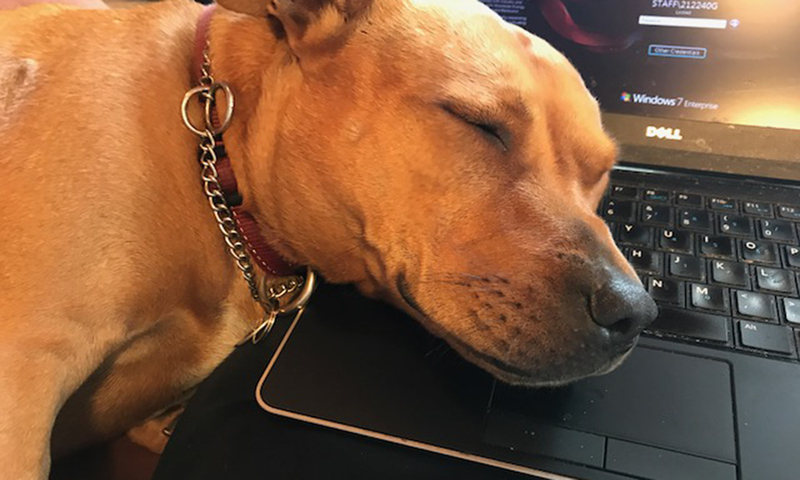 Which means that, with any luck, you won’t find your next research project being reviewed by a Staffordshire Terrier. Professor Ollie declined to comment. To find a doctor, or a job, to use GP Desktop and Doctors Health, book and track your CPD, and buy textbooks and guidelines visit doctorportal. I have been approached to submit to a journal I suspect is "predatory"
Predatory journals and conferences also provide a venue for some researchers who have discredited points of view and ideas that are against public interest. A best example is anti-vaccination ‘research’ that was the subject of a PhD thesis from a NSW university, used these types of services to propagate junk science. It was disgraceful that the university in question actually made payment to the predatory company for that privilege. The problem with many “credible journals” is that publications are more often than not from contacts/ colleagues/collaborators of editorial decision makers. There is an anticipation that there will be reciprocal rewards in other journals. Early in my research career 25 years ago, I was privy to observe overt deception by a prominent European research group when the conclusion of their paper was changed from the galley proof to the published version, with information from another research group. When this was challenged, the Editor-in-chief chose to ignore the deception and this paper is still highly cited. I remember a visiting senior researcher who once spoke at our Research Forum and stated that he had to publish his original work in an obscure journal because his competitors kept rejecting his paper in more famous journals. This important work has continued to make a difference in current clinical practice in that discipline. Finally I trust that the university that has awarded Ollie a senior academic title does not have programs that “have gone to the dogs”. Credibility in research needs to be accompanied by similar credibility in medical education and clinical practice. “One estimate has put the number of these journals at around 10 000” That many, really ?? Source for this please. Hi Graham, that estimate comes from a well-known online list of predatory journals, referenced in a recent Nature editorial (http://www.nature.com/news/predatory-journals-recruit-fake-editor-1.21662). My dog is also a genius – he does maths. I asked him “What is two minus two?” and he said nothing. I get along well with dogs but have trouble getting my work published. The solution is obviously to send it in to Ollie! Expecting to get stuff published by using Professor Ollie suggests that you have probably been barking up the wrong tree. You must be dogged in your approach to possible publishers.